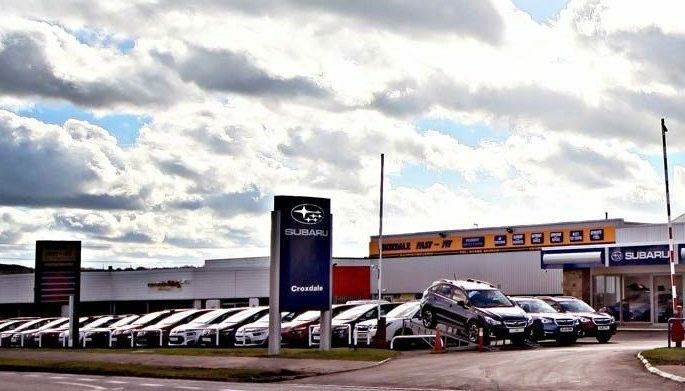 County Durham-based Croxdale Motor Group boasts three main car showrooms in Croxdale, all of which stock a vast range of quality vehicles. It offers used cars, nearly new cars, and new cars from Citroen, Subaru and Mitsubishi. The company also has seven Fast Fit centres throughout the North East which offer MOTs, tyre replacement and vehicle servicing. When Cellular Solutions first engaged with Croxdale Motor Group it was originally to provide mobile phone services. During discussions, it was found that the company was using a mixture of dated telephone systems across its sites, making the management of maintenance contracts both difficult and costly. Communication between sites was not easy and calls could not be transferred between departments or sites, leading to poor customer experience and missed or lost calls. The company had already identified that it needed an up-to-date and future-proofed telephone system which could improve customer experience and support planned growth of the business. The Croxdale Motor Group team also wanted to drive down ongoing costs and contact their multiple sites via internal extension dialling. Cellular Solutions’ expert team installed an NEC SV9100 telephone system at the company’s head office, which connected each of the remote sites and garages as an extension to the system. After providing a full refit of CAT5e cabling at each site, along with the provision of business grade broadband, the existing lines and numbers were converted to SIP Trunks, a solution which enabled Cellular Solutions to build a system that ensures that Croxdale Motor Group does not lose any calls and has built-in business continuity features, as well as offering a significant cost reduction against the previous line and call costs. Each site retained its existing local phone number, customers still call the same numbers as they always have and are connected directly to the site they are calling, however, calls can now be transferred between sites if necessary, rather than asking the customer to re-dial and if a site is closed, engaged or otherwise unreachable the call is automatically routed directly to Head Office or to on-site mobile phones, ensuring the call is answered. The flexibility of the system allows Cellular Solutions to add new sites to the system, quickly and cost effectively without impacting the ongoing operation, in line with Croxdale Motor Group’s requirements that the new system should support the business’ ongoing expansion program. The NEC SV9100 boasts a user-friendly management interface and offers call management tools which provide a real-time snapshot of caller activity and customer service levels. Call recording was installed as an integral part of the system and is used for staff training, further enhancing the customer experience. Peter Chapman, IT manager at Croxdale Motor Group, said: “We chose to work with Cellular Solutions as it has a great reputation in terms of both its services and its products. “The new system meets all of our business requirements and is more economical as it allows us to make free calls between our multiple sites. Click here for more information on Croxdale Motor Group. Keep your data safe and secure - and improve cybersecurity.